link Download : RoadWorks for 1.7.10! Want your city's to look much more realistic? Always wanted to roll your stripes down along the street? Maybe you want to roll stripes on the grass and build a football field? All those things are possible with this Modification. It adds an asphalt block to the game called "Road block"
1:The middle stripe paint roller. 3:The arrow paint roller, now this one has 7 different types of arrows, to switch you have to press the "X"(default) button when holding the roller and the color of the paint roller will change, you can see directly what kind of arrow it is, in the upper left corner. 4:Extra stripes paint roller, to finish all little parts that are not connected yet, to switch you have to press the "X"(default) button while holding the roller and the color of the paint roller will change, you can see directly what kind of extra stripe it is, in the upper left corner. All paintrollers are also available inyellow! To use it,click the stripe you want and click the space you want the stripe to be,to twist and turn the stripes simply click the selected stripe in the middle of the selection menu on the right (see pictures). The middle square in the lower row will be the place where you click. And how do I install this? C:UsersUSERAppDataRoaming.minecraftand there should be a folder called Mods, if not, make it. 3) Run the game! Enjoy! by clicking on the MAIN PAGE button. Any questions posted which are already answered on the main page will get the response "Explanation on the main page"
My quick paint planner won't work when I press the comma key, is this a glitch? How can I fix it? I put it on my server and client side, 1.7.10 however i can only place lamps and roads...with the painter i can only place a default black arrow i can't change it nor do anything else and i can't craft any rollers or open up the gui . Did i install it wrong? Am i missing a file? This sounds like you did something wrong on the server side here, that shouldn't happen. Maybe other mods are interfering? Can you add more strips, road signs and a autoroad builder please? I love this and your traffic lights mod. Thank you. Just an idea but would you consider adding thicker lines to make a cross walk and for the other mod adding signs like Stop, Yield, and Crosswalk. I love what you have done and greatly appreciate your efforts. Can you update it to 1.7.10 please? I would like to say that it takes a while to update, but the fact is I keep forgetting to update it to a new version. Will be soon I hope. Can I have permission to distribute RoadWorks and Lamps and Traffic Lights mod for my modpacks? If not, you have it now. I did lol, but i couldnt find where you gave me it. Creating a port version of a few of my packs on ATLauncher but I need to verify having permission. Would it be possible to change the key used to change stripes/arrows (currently X)? This conflicts with Archimedes Ships, which uses WASD to control its ships, as well as X to make an airship go up and Z to make it go down. It should already be changeable in the minecraft keybinding thingy. Download link for 1.7.2 (latest) seems to be down (mediafire page takes forever to load, and if I do manage to click on the downloading link it says "26 minutes left" without making any progress. Anyone else having this issue? I'll ty again tommorrow and see if the issue still persists. I have no trouble downloading at all. Can you please fix these two mods? They work on 1.7.10 until you want to use the gui's. Try to help thx! Alot of potention and i think your heading in the right direction. The railroad crossing arms dont move, Well in the 1.6.4 version, THEY DO!!! I really dont understand this and would love some feed back so if your reading this please reply. Again anyone else can give they're opinion but this was a suggestion and a statement that i had to say. Hi, are you planning to create a 1.7.10 version soon? Can I add that pic to the pics of my mod? Can i suggest a stop sign and maybe a double yellow line within one block? I wanted to create a sign mod soon. That's not an error, that just means its block doesn''t have any textures, which it doesn't need actually because it uses models. How do you work the quike painter planner? ''Cause you're the first one that actually said this. 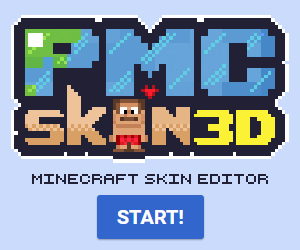 Hello, I would like to use your mod in my modpack and I will advertise and add a link to your website, so may i have your permission? Wasn't that hard, as soon as you have an entirely new packethandler up and running, changed all mouse/tick handlers to the new tick event system, and changed all ID references to items or blocks, you're basically done. Amazing for town builds, Thanks for the awesome mod! I've seen some improvement though, and thank you! You have ModLoader, you need Forge. You actually said "Most mods say forge but it's actually for forge"
FML is just a part of forge, so I don't really know where you're trying to go here. Could you add signs like stop signs, customizable street name signs, customizable speed limit signs, customizable route signs , and things like that to ether this, latl, or a separate mod? I already love this mod and would love it more if you implement my opinions. This is just a suggestion. LATLSigns was a mod I've made back in 1.2.5, but I am rebuilding this in a completely new way now! Thank you! Been working on a big update too! Is it possible to make the road like the rails. When you are creating rails and there is a block in front of you and you want to go up it looks like a triangle. Is it possible to do the same with the road? It's possible yes and I'm still looking into how to do this, this is already planned but first I want to add some more swiftness and functuality. Stay tuned because tomorrow I will upload the standalone expansion to this mod!